This page contains a summary of the discussion which occurred under the "Open Discussion - How to increasing JSPWiki publicity" thread on the JSPWiki mailing lists. This may help to focus our publicity efforts as (temporarily) documented at Scratchpad - increasing JSPWiki publicity. So what can we do to get more users? Anyone in the mood to write an article and try to publish it? Are there any conferences were JSPWiki can be easily presented? The ensuing discussion occurred over April 2014 , May 2014 , November 2015 , and February 2016 . Following is a selection of thread responses. "One easy way to raise JSPWiki's profile is to provide a page showing all the external sites using it. I created this for Apache Roller: https://cwiki.apache.org/confluence/display/ROLLER/WhoUsesRoller . 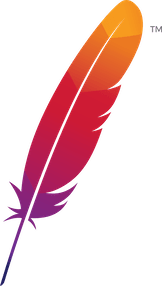 To find out Roller bloggers, I googled a text string that is usually present on Roller's login page ("powered by apache roller weblogger version ..."). If JSPWiki could place a similar, non-obtrusive string on its login page (or actually anywhere, doesn't matter) googling on a monthly basis should see an increasing number of Wikis that could be added to a "WhoUsesJSPWiki" page. Seeing all the impressive ways JSPWiki is being used is a ton of easy advertising all by itself." A suitable page was created at https://jspwiki-wiki.apache.org/Wiki.jsp?page=JSPWikiSites to collate sites powered by JSPWiki. "Really ramping up activity on social networks would be a good idea, Facebook and Twitter specifically. There is a Facebook page with a whopping four members, and activity on there is all but dead. Happy to make a time commitment here to start posting fresh content." A new Facebook Page was created, and the Twitter channel was resurrected. Fresh content is being pushed to those channels, primarily from the new official blog (rather than content being created exclusively on the social networks). Note that there was disagreement over maintaining the social network (here , here , and here ). I managed to complete miss this messages at the time, so I'll raise this again on the dev list to confirm we are in agreement (or not). If the question is how "to increase JSPWiki’s publicity - how can we do that? Unfortunately Open Source also consists of advertising otherwise no user will ever use it"), then social networks are a key part of the answer. The process I would recommend is to publish first and foremost on the official JSPWiki blog or the official wiki, then duplicate this content to social networks. The resulting administrative burden for social networks is absolutely minimal, and, we retain control of our content. "Re. facebook/twitter page... I'd only ask you to please redirect as much traffic as possible to the MLs, as there is where we usually lurk." So, this should also be included in our publicity process. To do 2016-08-04: document a draft social networks process (or "policy") summarising the above steps, as well as guidance on the sort of content which is in-scope for publicising via these channels. For better or worse (vis a vis the open web) there are large numbers of folks for whom content pushed via social networks is going to be the first or primary method by which they receive news – rather than actively browsing to a website or mailing list – so it makes little sense to close off this potentially fruitful method of getting our message out. The argument that they should be closed by virtue of there being so little actively is also moot given that the same could be said for the public-facing aspect of the project in general. There has to be fresh content, news, and activity to build on to begin with (e.g. the new Haddock template). It may also help with efforts to establish notability for Wikipedia, for instance. "I think that one of the initial points people should address, prior to launching a publicity campaign, is: who is JSPWiki for? It's pretty important to identify the market segment that efforts will then be made towards. We could all just talk about it a lot, but it's more efficient if someone actually has an idea as to what is to be achieved, for whom." An excellent point, and one that needs documenting in further detail. There is likely existing material which could inform this, e.g. http://jspwiki.apache.org/ and http://www.ecyrd.com/JSPWiki/wiki/JSPWikiFeatures . I have been using JSPWiki for more than 10 years and I too think it has a lot going for it. We need to answer "who is JSPWiki for?" And what does Features does JSPWiki have that is not already present within the market? These need to be one answered in one paragraph. "Best way to increase publicity is to release often. After every release there've been an increase on use/MLs. Problem is, we do this on a free time basis, so a mantaning an steady effort is complicated. So, the question is, how do we do to foster collaboration, patches, etc? As for the wikipedia, maybe a wave of blog posts (which could also be sent to the server side, voxxed, etc.) is enough to convince them to own our page? But we do need people actually doing this, the time we spend on JSPWiki is almost spent on coding." "It would be interesting to know what the person managing the development of JSPWiki thinks is the answer to this. Where is it heading? Is there a vision? “2.10.2” is not the answer I'm looking for. It is difficult to steer development towards an uncertain goal. There is tough competition all around, so is there some unique selling point that we can exploit? I think that there is. Several actually. There are niche market segments that JSPWiki could move into very successfully. Although without a clear focus, I fear that this project might stall somewhat. I certainly don't expect it to compete effectively in the mainstream market for reasons already highlighted." Target the Windows platform first. Make the installation, with all its dependencies (including Tomcat running as a Windows service), as transparent as possible to new users via customizable installation scripts/batch files. install as public wiki (this would close all the permissions and security that are wide open on the basic install and only allow admins to edit/delete). install with the following defined groups and roles (for people who already have a user structure in mind). Provide some kind of control panel like the Tomcat App Manager so non-techies don't have to fiddle with editing text files. I know that this is an anathema to developers, but non-programmers really hate doing "anything" that resembles programming."